NANOG 72, which took place at the Loews Atlanta Hotel, February 19-21, 2018, kicked off with a very well-received keynote address, “A History of the Internet: Hint, It Was Not the Bomb,” delivered by Scott Bradner. It’s interesting to note that Scott was involved in the early days of the ARPANET as well as the design, operation and use of data networks at Harvard University. Scott recalled how in 1996, he claimed there were two basic questions concerning the Internet: “Who says who makes the rules?” and “Who pays for what?” Questions, he says, that remain unanswered. NANOG 72 attracted 879 attendees from more than 20 organizations and 21 countries. NANOG meeting attendees come from a wide range of companies, including ISPs, equipment vendors, network operators, cloud services providers, software vendors, Content Delivery Networks (CDNs), web service/hosting providers, education and research, regional Internet registries, consulting, non-profits and more. 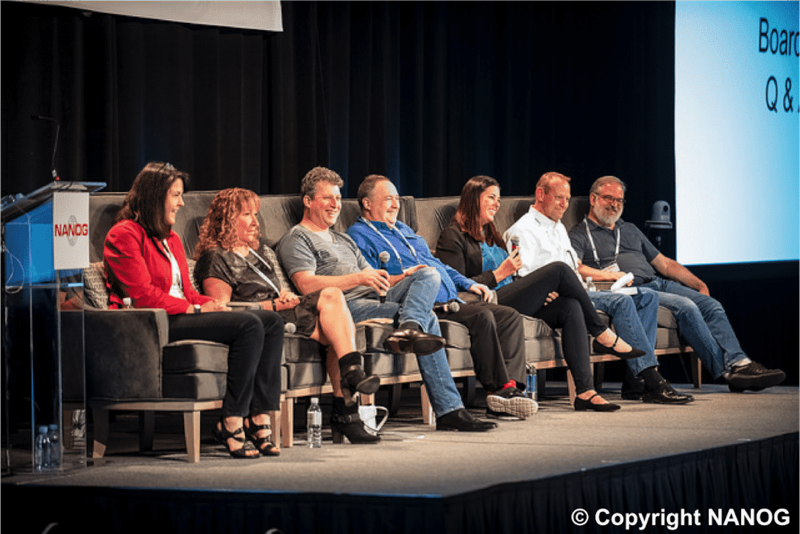 NANOG 73, which will take place June 25-27, 2018 at the Hyatt Regency Denver in Denver, Colorado. Joining NANOG provides a $25 discount on standard registration fees for any NANOG conference. Registration for NANOG 73 was open as of March 12, 2018 and the registration can be accessed here.